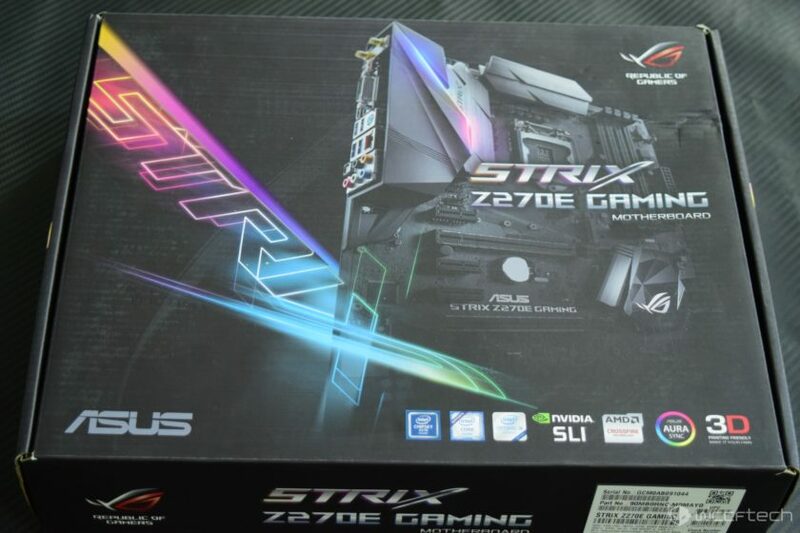 The ASUS ROG STRIX Z270E Gaming comes in the standard cardboard package. 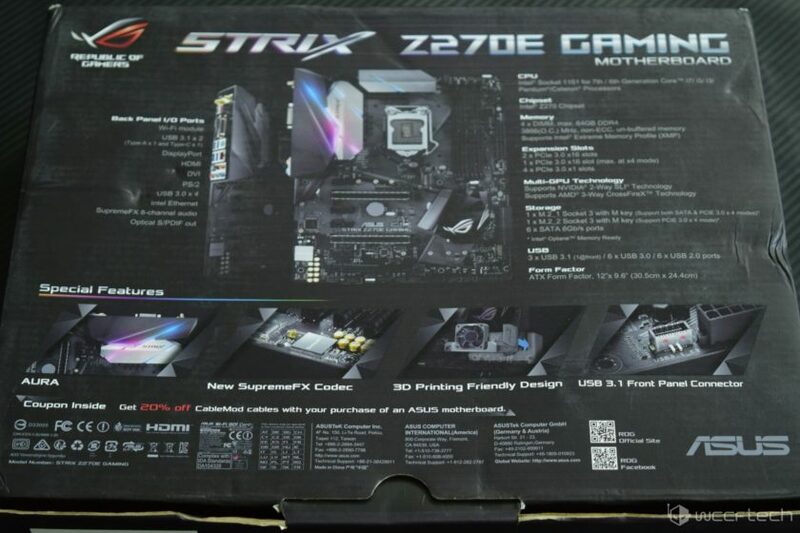 You can note that the front of this box has the STRIX branding along with a picture of the product. 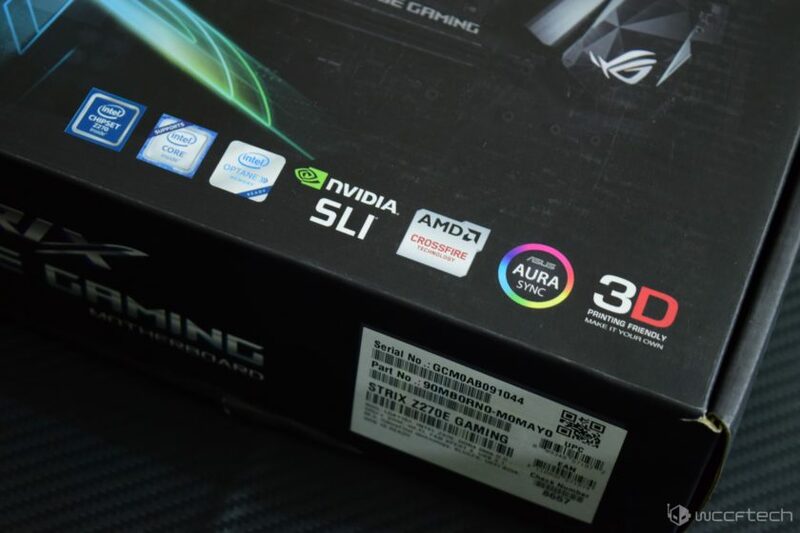 The back side of the package lists down the specifications and special features of the motherboard such as the AURA Lightning system, New SupremeFX Codec, 3D Printing Friendly Design and USB 3.1 Front Panel connector on the product. The front side also lists down support for Intel’s 6th and 7th generation Core processors. There’s also support for Intel Optane memory which is one of the key features of the 200-series platform. The board fully supports NVIDIA SLI and AMD CrossFire technology for multi-gpu functionality. Inside the package are two compartments, the top houses the board itself while the lower portion houses the accessories. 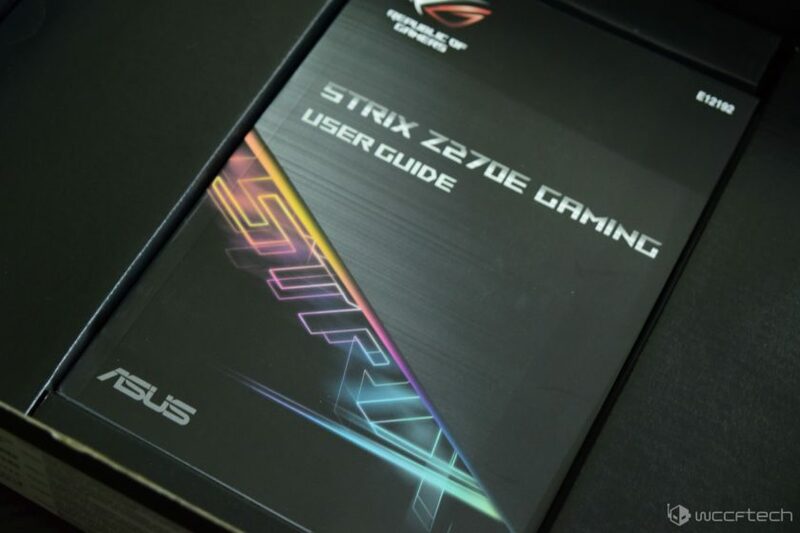 Here we can see that ASUS has a dedicated cut out for their product user guide. The user guide contains a driver disk along with several stickers that can be used by gamers on their PC case. 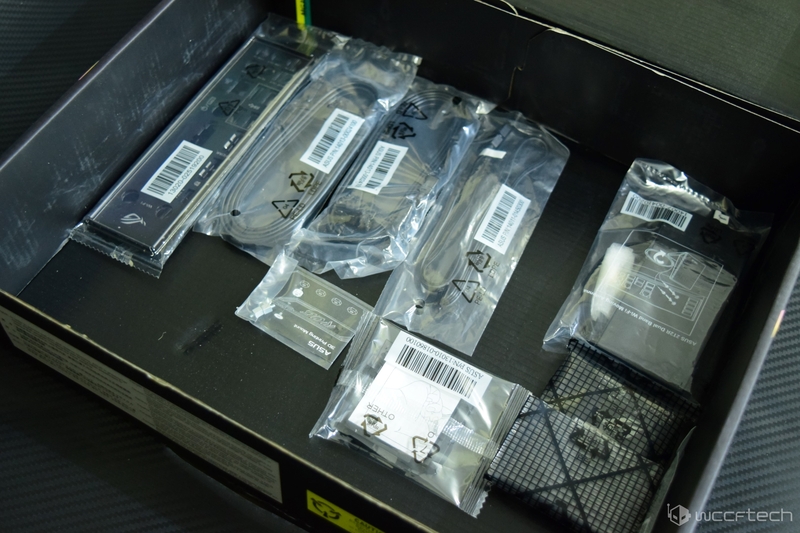 There are several accessories included in the package such as a WiFi antenna module, several SATA III cables, an I/O cover, screws for the 3D mounting bracket, a high-bandwidth SLI bridge, CPU Installation cover and the RGB 4-Pin cable. Out of the box, the ASUS ROG STRIX Z270E Gaming looks absolutely stunning with a simple yet elegant design that makes it stand out from the rest of the crowd. 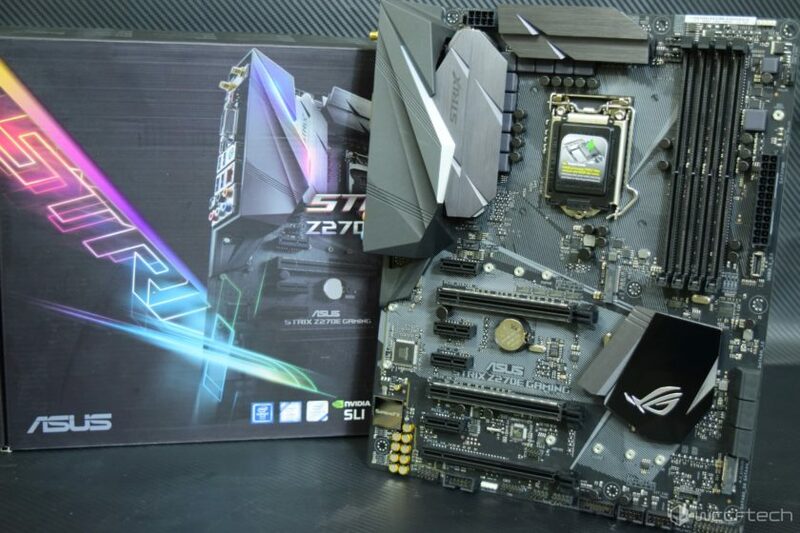 The blade cuts on the heatsinks and the matte black finish on the PCB that are covered by white textures look superb.